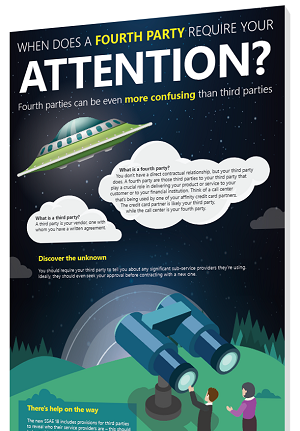 When Does a Fourth Party Require YOUR Attention? Do you know who your fourth parties are? They can be even more elusive to detect and monitor than your third parties. But just like third parties, there will be fourth parties that absolutely need your attention. We created an infographic to help guide you through the when and how of the discovery process.